Since there will be a new baby in he house by Halloween, my Halloween cake for this year needs to be something easy to make but still really fun. This graveside cake is p-e-r-f-e-c-t!! I am hesitant to that it is only September, but I think I may have already found my Halloween cake for this year! 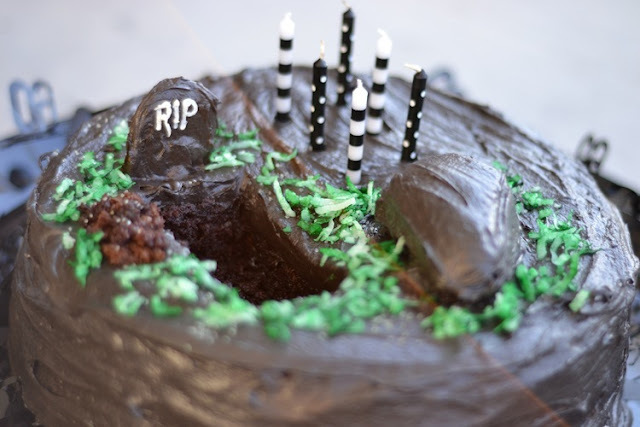 You can check out this Halloween graveside cake (that was actually a cake for a 60th birthday party) over at A Lemon Squeezy Home.